There is good news for fans of P.F. Chang’s. Groupe Sportscene, owners of among other things the very successful Cage Aux Sports franchise, has purchased the two Montreal area locations---one at Rue des Jockeys next to the former Blue Bonnets and the other at Carrefour Laval. Last April the Canadian operation of P.F. 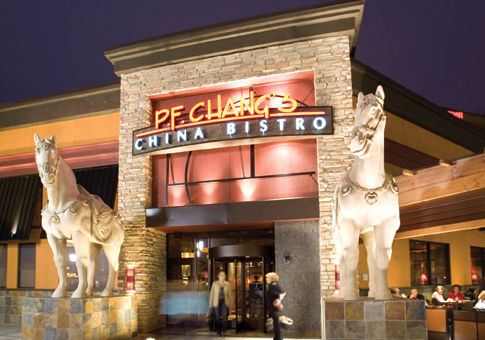 Chang’s, run by Interaction Restaurants and CEO Michael Aronovici, filed a Notice of Intention to make a proposal to creditors in order to obtain the courts` protection so they could gain time to find a strategic partner or a buyer. The Toronto location in suburban Don Mills has been sold to Cara Foods and will no longer be a P.F. Chang’s. They will convert it into one of their other brands, possibly a Milestones, Montana’s or Kelsey’s. In the next week or so both Montreal area locations will be closed for three days in order to prepare for the rejigged menu, which will still have all of the staple favorites like chicken lettuce wraps, Mongolian beef, crispy honey chicken, double pan-fried noodles and more. Bedard said that once he is satisfied the two Montreal area locales are doing well, he will look towards expansion. He already has his eye on the South Shore, downtown, the West Island, Quebec City and Gatineau. “After that we will look outside of Quebec,” he said. In terms of continuity, the operating partners of two locations – Emile Haykal and Elie Sucar – will remain in place. That is great news as they know the business well.